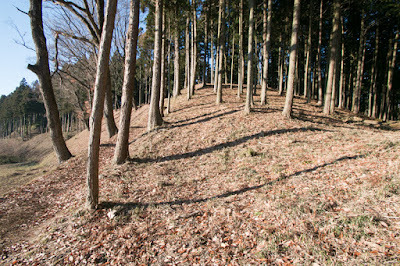 Nakayama castle is located at a hill at the center of Takayama village in the north part of Gunma prefecture. 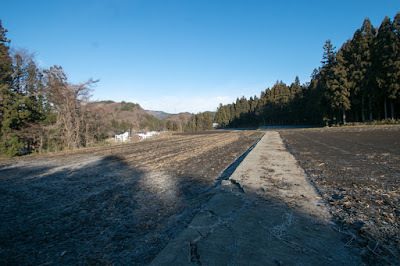 Takayama village is a small basin of 5 meter long diameter, and exists at the middle of Tonegawa river flows from northward and Agatsumagawa river from eastward which merges at Shibukawa city at the southeast. 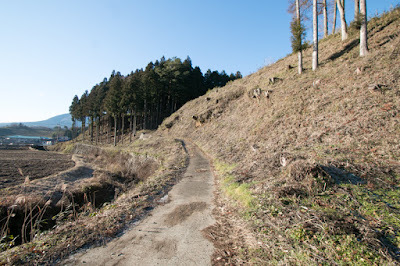 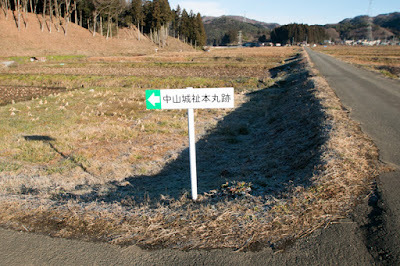 Because of its geographic location, Takayama village is an important crossing point of east and westward route connecting Numata city and Higashi-Agatsuma town (Route 145 now called as "Japan Romantic Road"), and north and southward road between Minakami town and Shibukawa city. 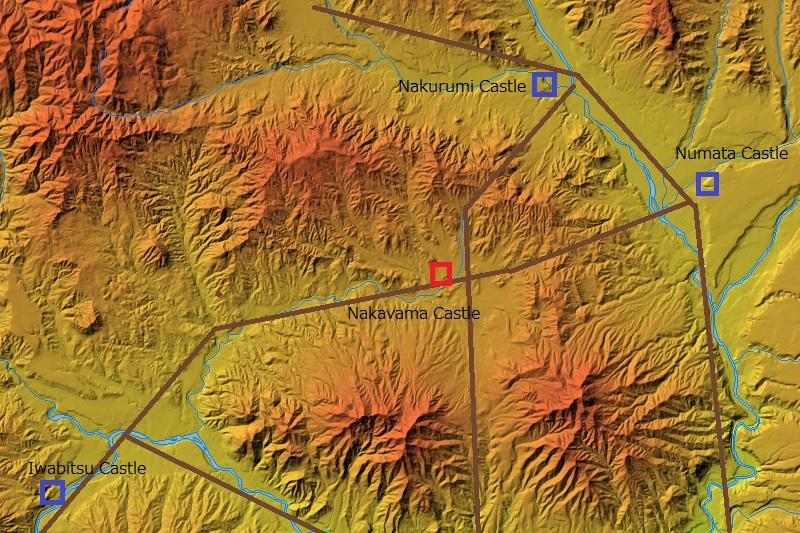 In the medieval era, this meant an access point to four important castles of this era, it mean Numata castle at Numata city, Iwabitsu castle at Higashi-Agatsuma town, Nakurumi castle at Minakami town and Shiroi castle at Shibukawa city. 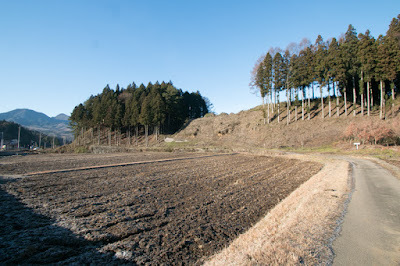 After the fall of Yamanouchi-Uesugi clan which originally held Kozuke province (Gunma prefecture) in 1550's, north part of the province became the target of struggle between two strong warlords, Kenshin Uesugi (1530-1578) who was the governor of Echigo province (Niigata prefecture) and lord of Kasugayama castle, and Ujiyasu Hojo (1515-1571, the warlord of Sagami province (Kanagawa prefecture) at Odawara castle. 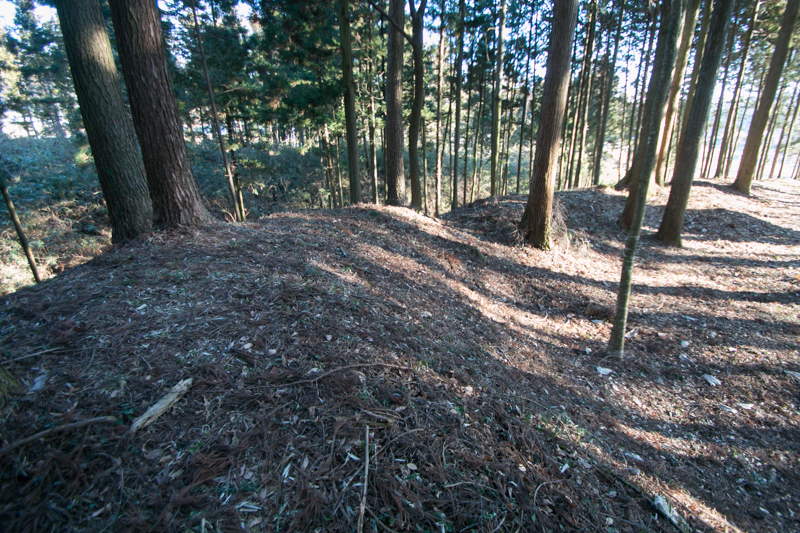 At first Kenshin who succeeded the authority of Yamanouchi-Uesugi clan captured whole Kozuke province, but Hojo clan cooperatively pressed Uesugi clan under alliance with Shingen Takeda (1521-1573) who was the warlord of Kai province (Yamanashi prefecture). 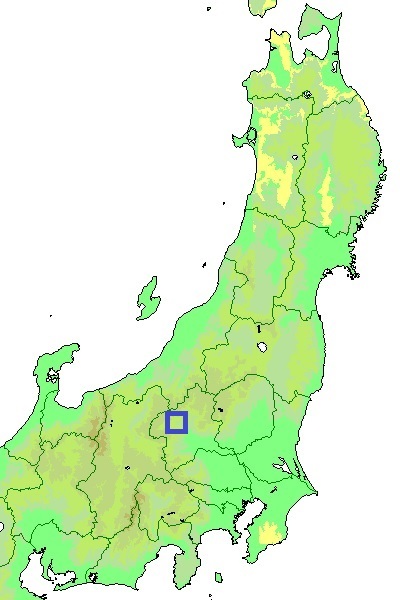 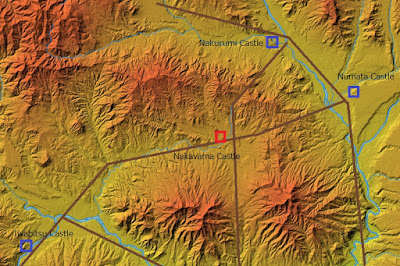 Hojo clan gradually advanced their border into northward, but Uesugi clan fiercely resisted to protect Maebashi castle and Numata castle, then both clan continued severe conflict for this area and Uesugi clan barely kept this area. 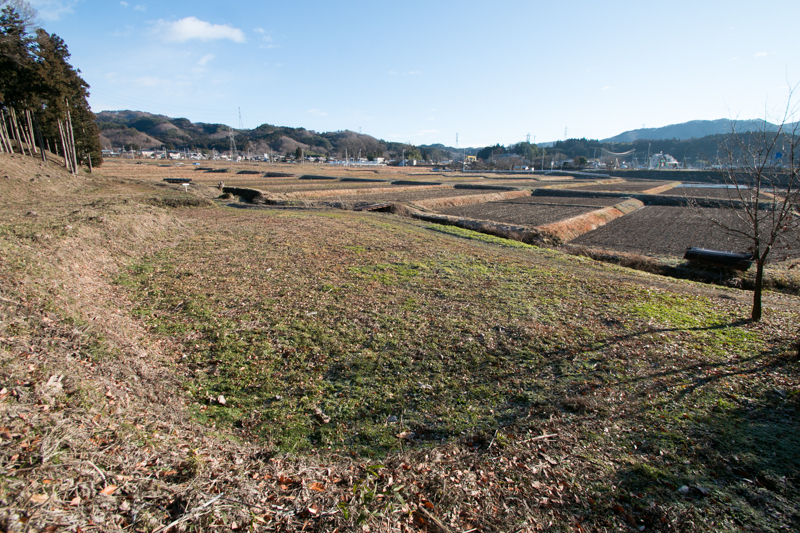 But after the death of Kenshin Uesugi in 1578, utilizing internal conflict of Uesugi clan, Katsuyori Takeda (1546-1582), the successor of Shingen Takeda, achieved this area from Uesugi clan as a reward to support Kagekatsu Uesugi (1556-1623). 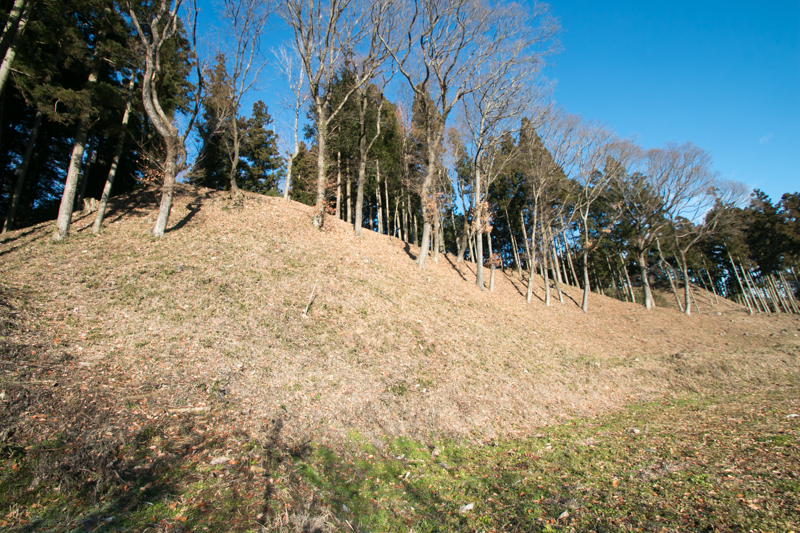 Katsuyori ordered his general Masayuki Sanada (1547-1611) who was the lord of Iwabitsu castle (Gunma prefecture) to attack castles of this area occupied by Hojo clan, and in 1580 Masayuki captured Numata castle utilizing plot. 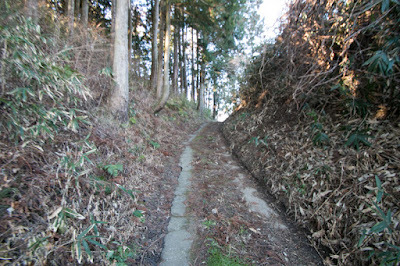 In 1581, Takeda clan was ruined by the attack of central ruler Nobunaga Oda (1534-1582), and Nobunaga sent his general Kazumasu Takigawa (1525-1586) as a commander of Kozuke province. 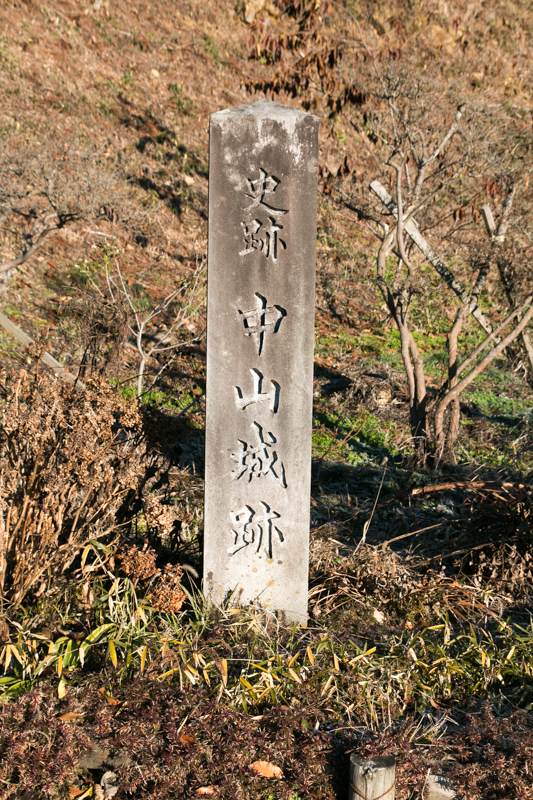 Once Masayuki and Hojo clan followed to Kazumasu, but just three month after Nubunaga died at the incident of Honnoji, a coup d'?tat by his general Mitsuhide Akechi (1528-1582). 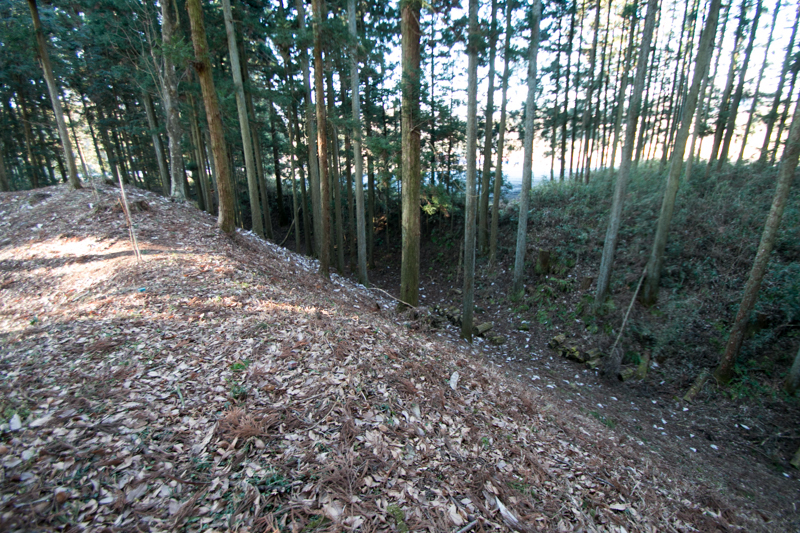 Looking at this chance Masayuki and Hojo clan intended to capture this area. Hojo clan beat Kazumasu Takigawa at the battle of Kannagawa river then Kazumasu escaped from this area, but Masayuki quickly seized vacant Numata castle. Sanada clan once followed to Hojo clan but soon left, and both clan fiercely fought for Numata area nearly 10 years. 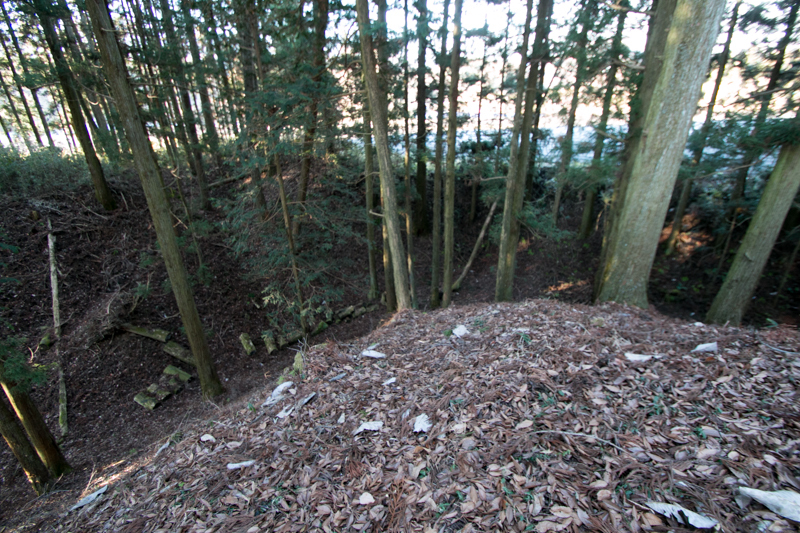 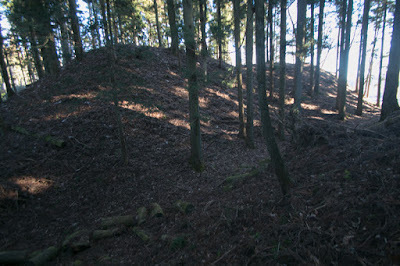 Numata castle which was the main target of Hojo clan was a secure castle stands at the edge of cliff, and it was difficult to capture only by power. 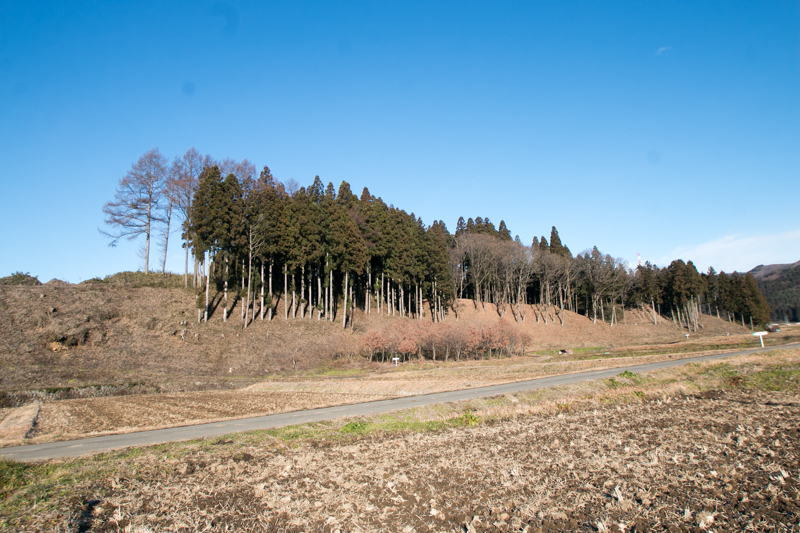 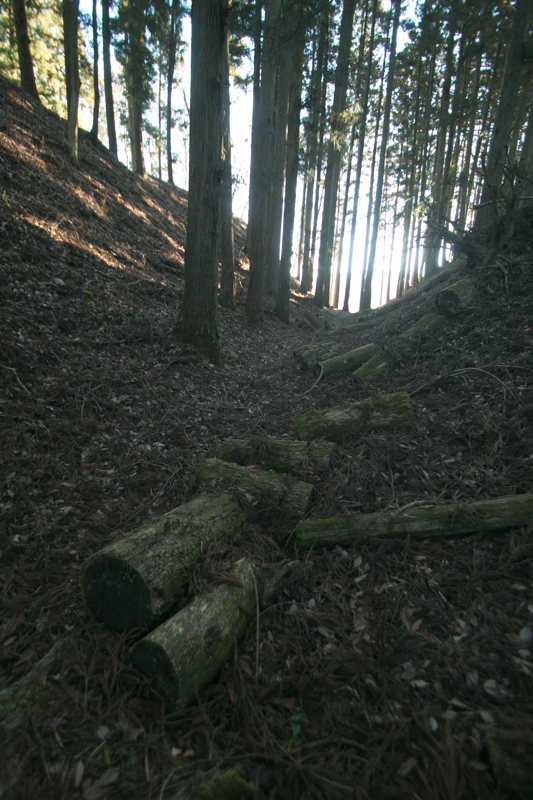 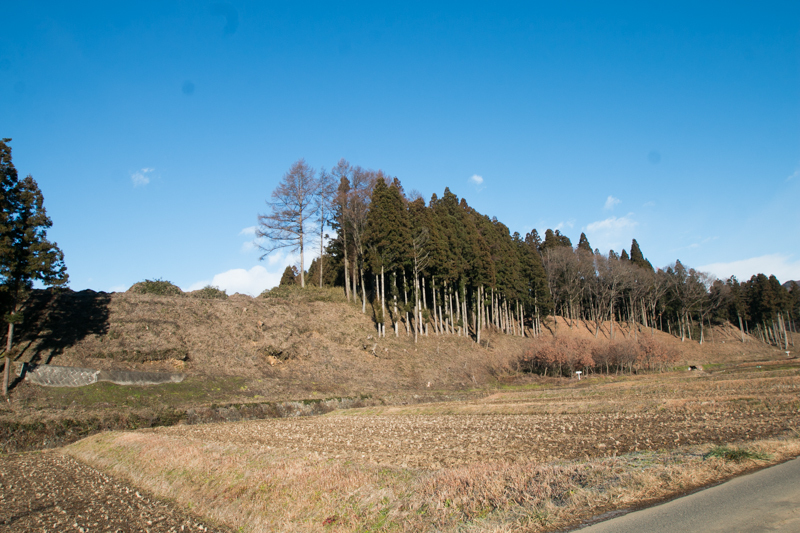 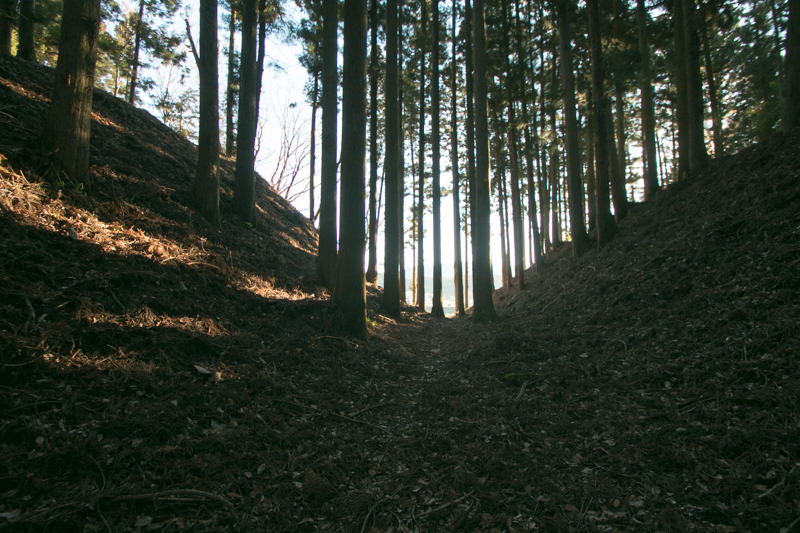 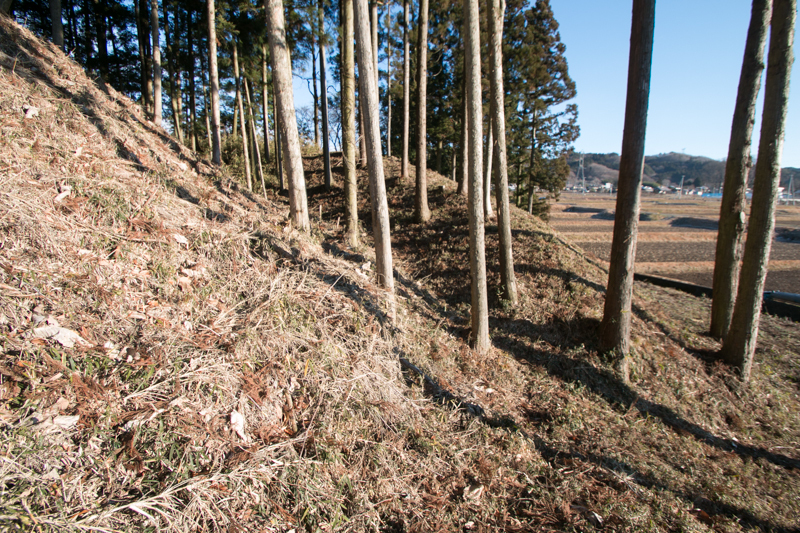 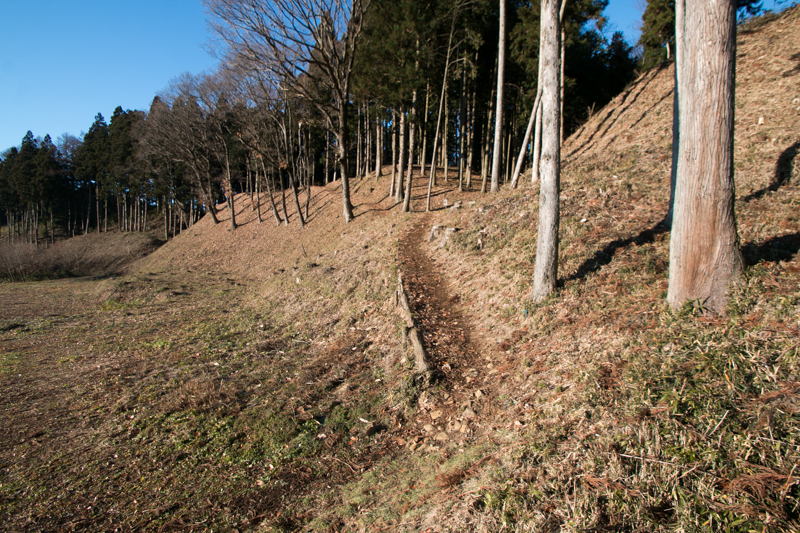 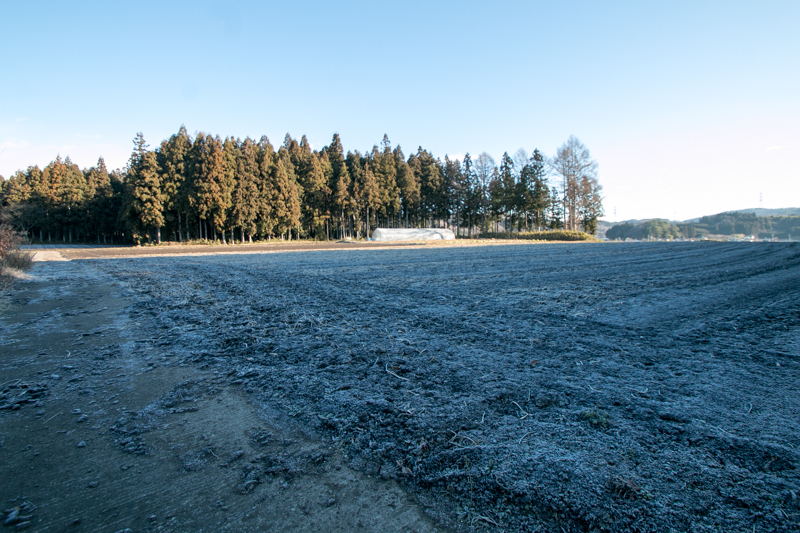 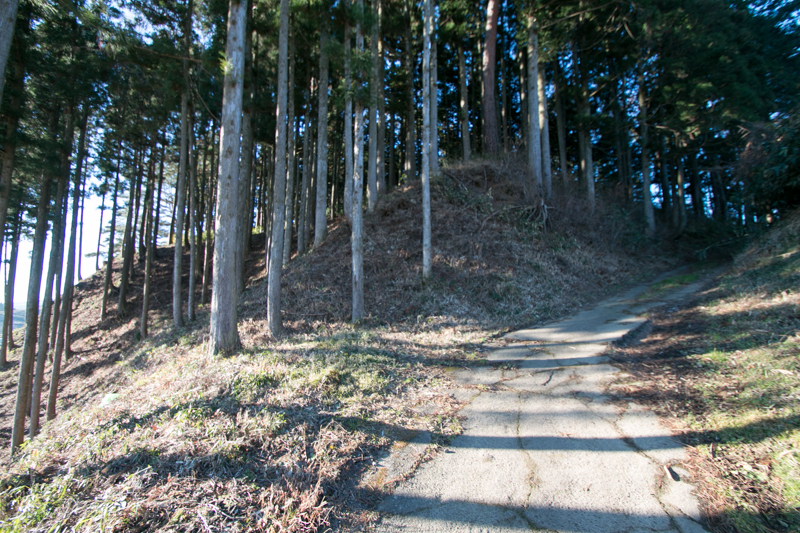 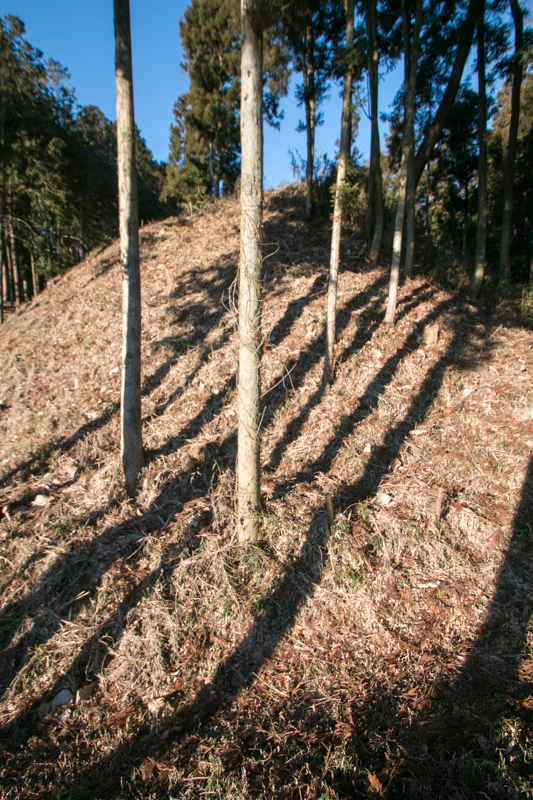 Hojo clan tried to shut the supply line from Iwabitsu castle, and built a new castle as a interference point at the point of current Takayama village. This castle was named as Nakayama castle. Nakayama castle is a simple clay castle but built under latest castle technology of Hojo clan. 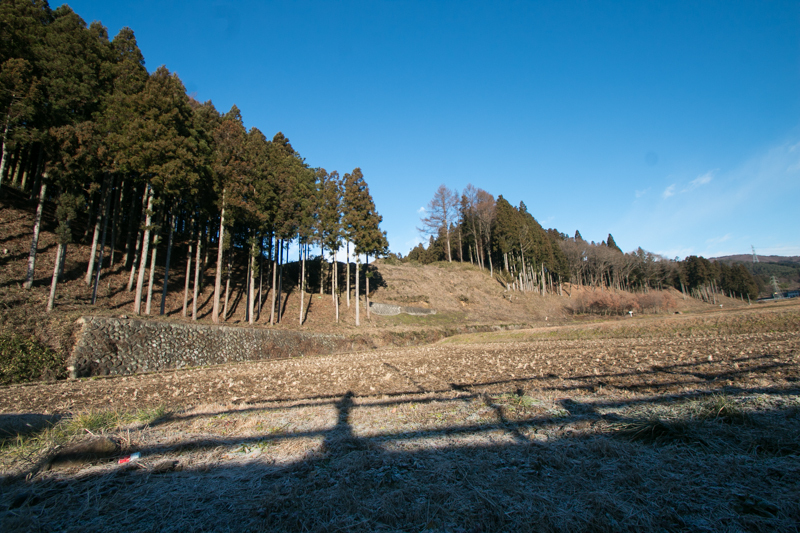 This castle is built at a long and narrow height of 500 meter long and 200 meter wide spreads toward south, being protected both side by creeks. Central area of the castle is a clearly square shape of 50 meter long locates at east edge of middle part of the height, which was surrounded by deep and wide dry moat of 30 meter wide. 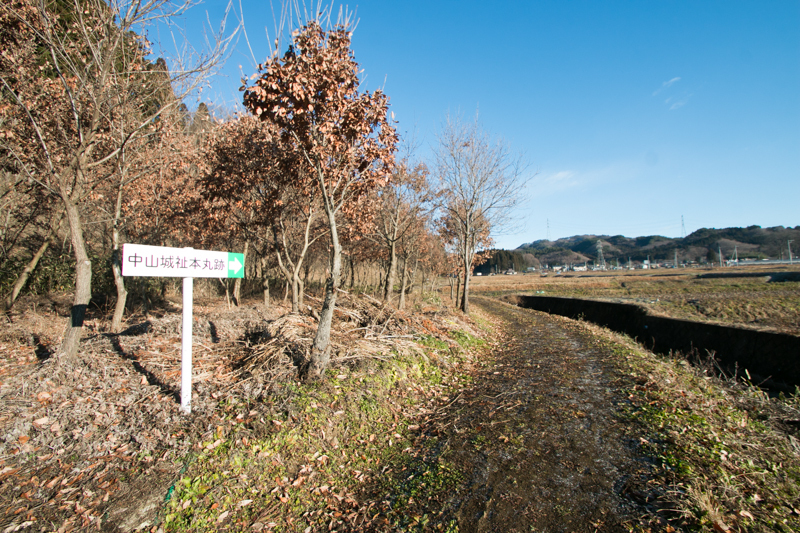 At the north, west and south side of this central area, there is a corridor area which are also protected another deep dry moat. 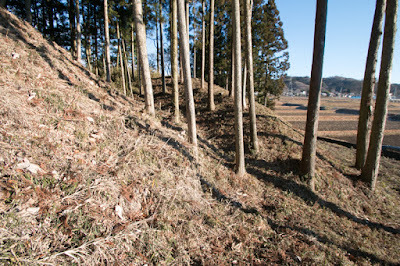 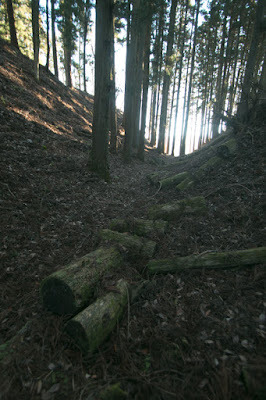 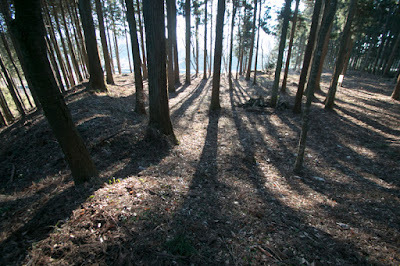 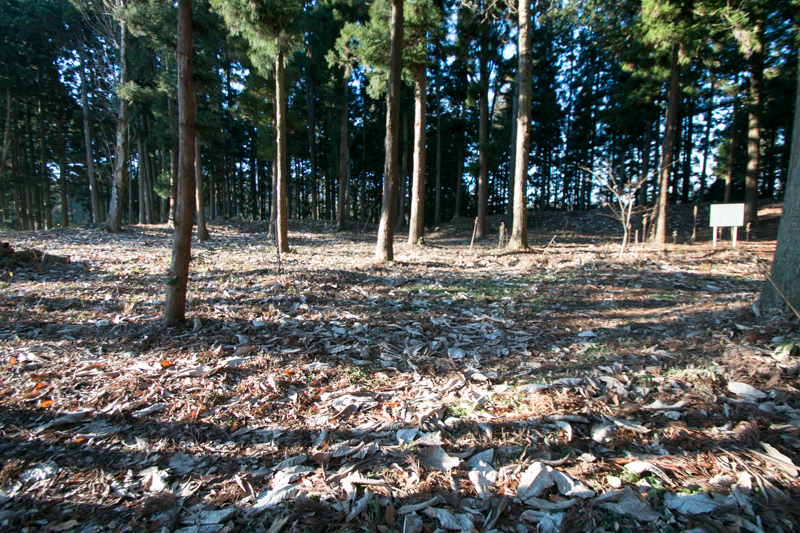 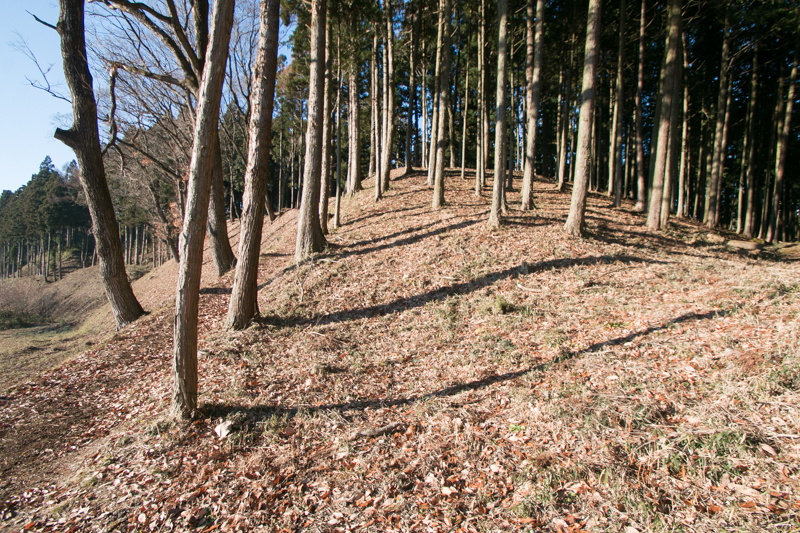 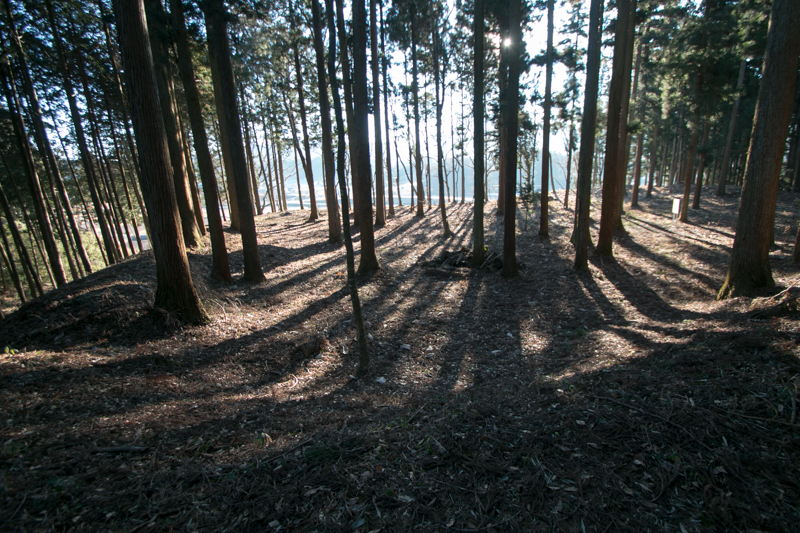 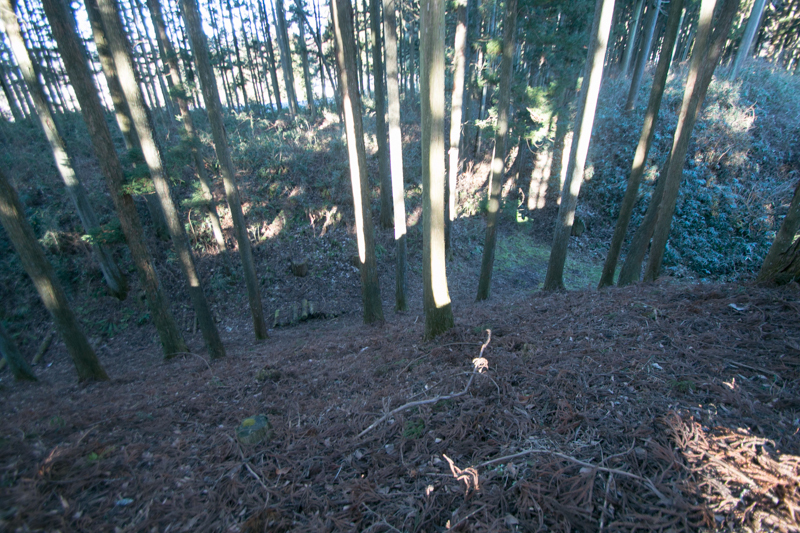 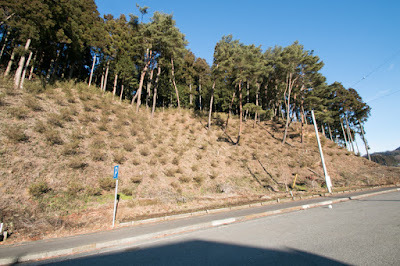 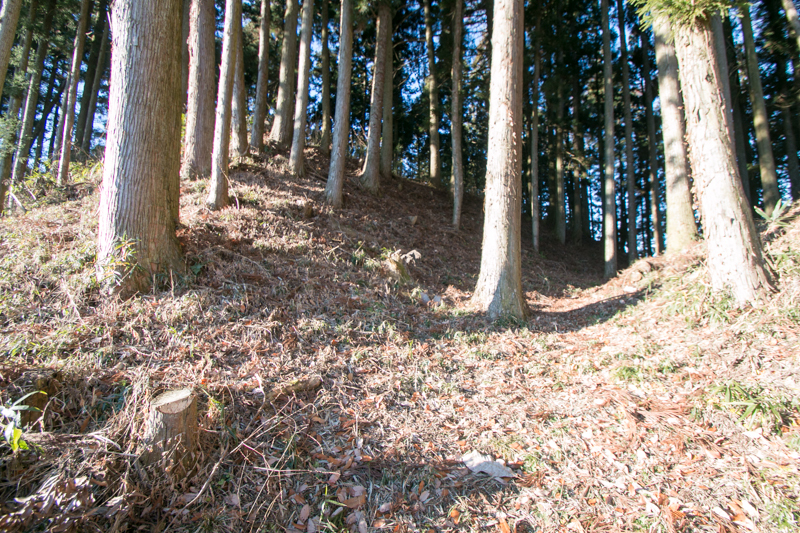 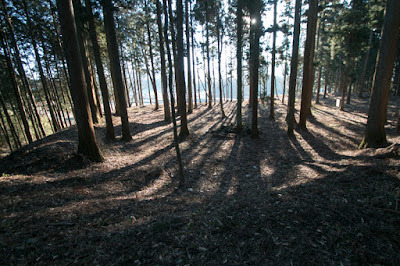 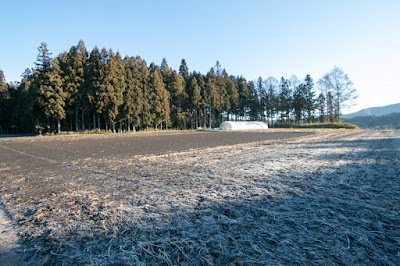 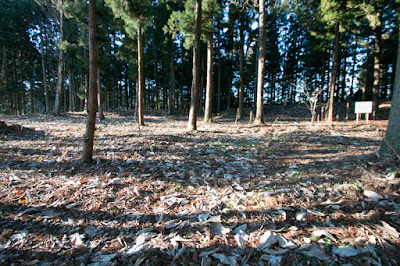 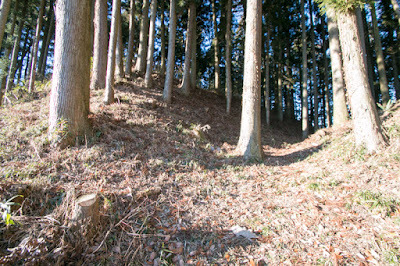 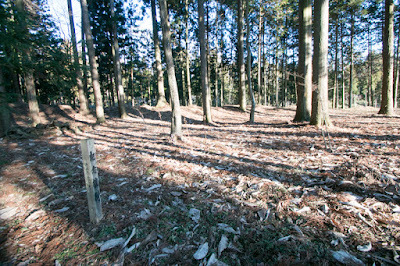 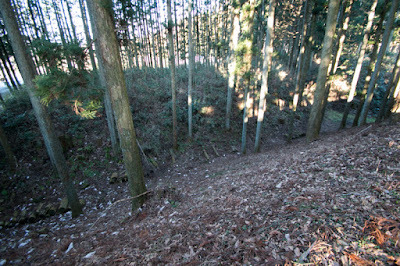 Outside of these core areas, there were large flat areas all over the height which were used as a camping place of reinforcement army. 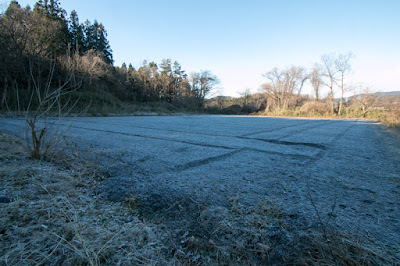 As these flat areas are so well shaped, they are used as a crop field or house ground without modification. 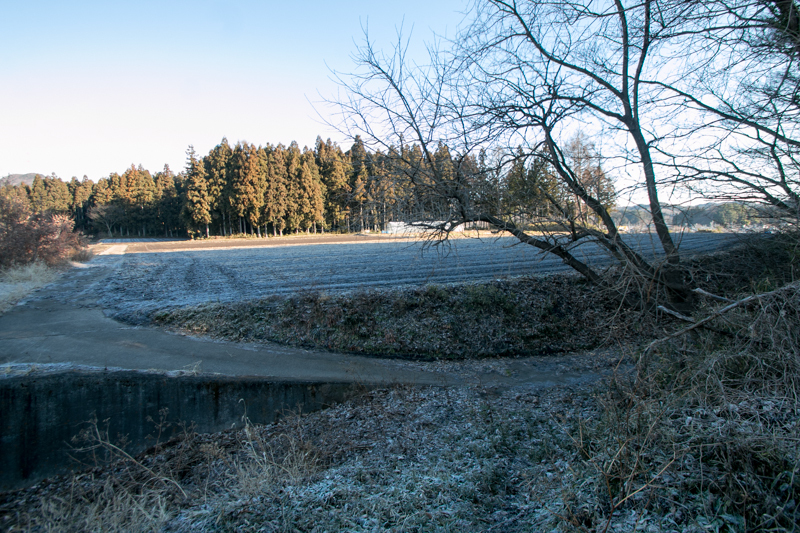 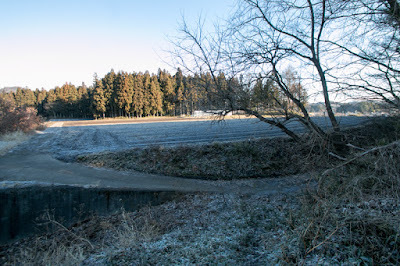 These outer areas are protected by sheer cliff of the height and dry moats, and north side edge which directly faced outside are well protected by several layer of moats. This castle is totally different from neighbor castle built by local lords, and shows technology of Hojo style castle well. 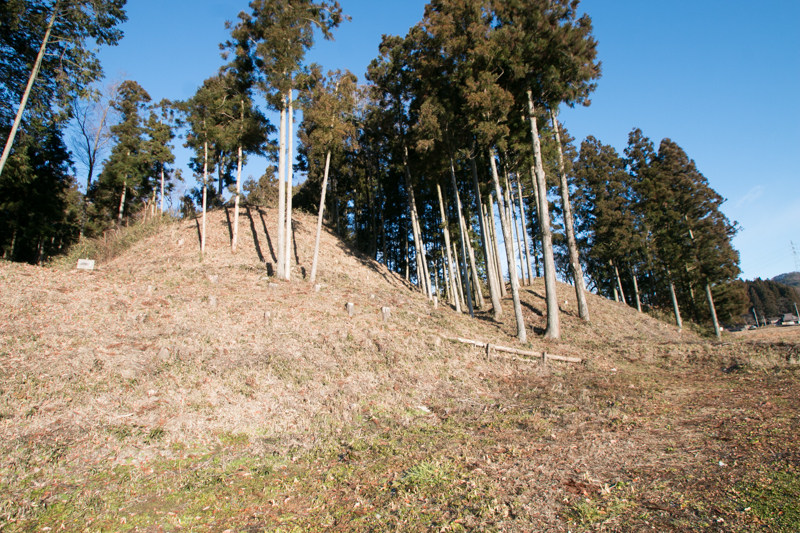 Since 1570's, Hojo clan frequently built this kind of castle which consist of securely protected core area and large flat outer area as front line fortress, especially at its eastern front such as Shimotsuke province (Tochigi prefecture) or Shimousa province (Chiba prefecture). 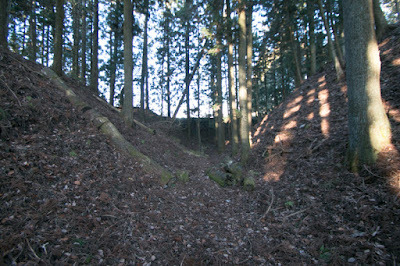 They built these castle at enemy territory to drive a wedge between the enemy, firmly protected it, then if opportunity comes they sent a large army and captured surrounding area utilizing these castles as a supply base. As above, this castle exactly stood at the center of Numata castle, Nakurumi castle and Iwabitsu castle, and this was a severe threat to Sanada clan. 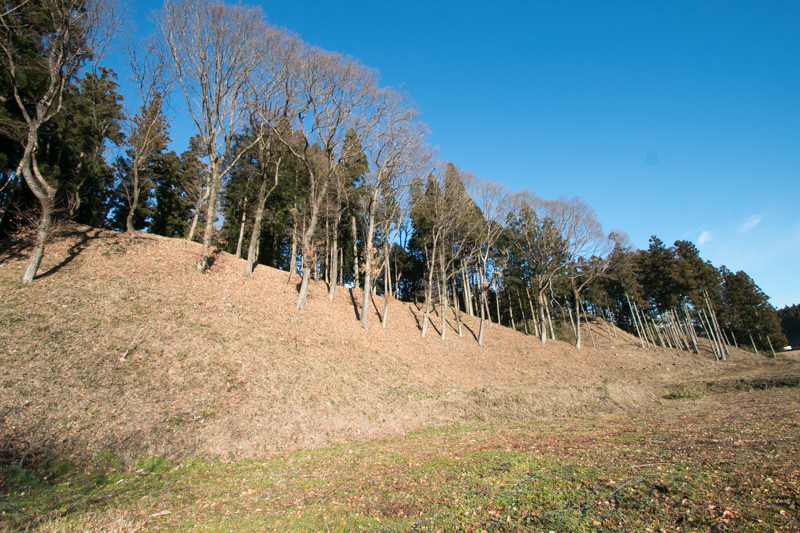 Sanada clan might continuously attacked this castle, but even though strong and intelligent Sanada clan, they could not reject Hojo army from this castle. 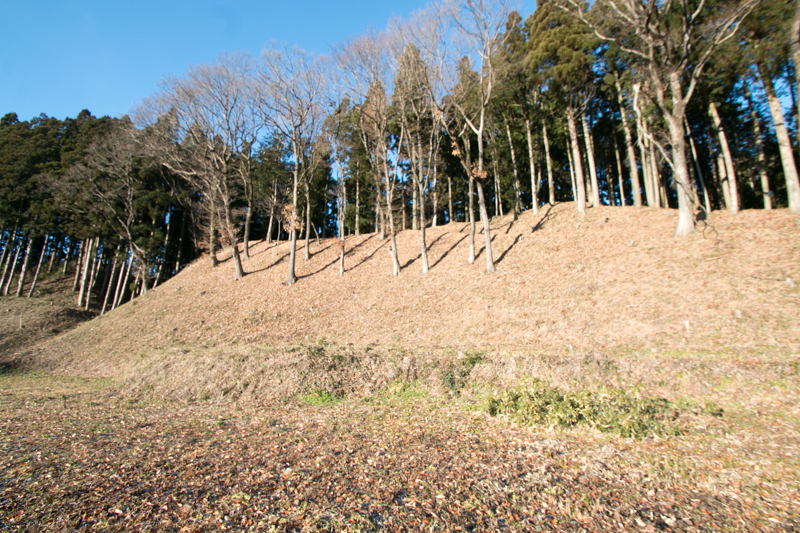 But on the opposite, facing this severe interference, Sanada clan tenaciously protected Numata castle under the attack of dominant Hojo army. In 1589, under the coordination of central ruler Hideyoshi Toyotomi (1537-1598), Numata castle was handed from Sanada clan to Hojo clan, but Nakurumi castle still remained to Sanada clan. Hojo clan strongly dissatisfied with this result, and next year Kuninori Inomata (?-? 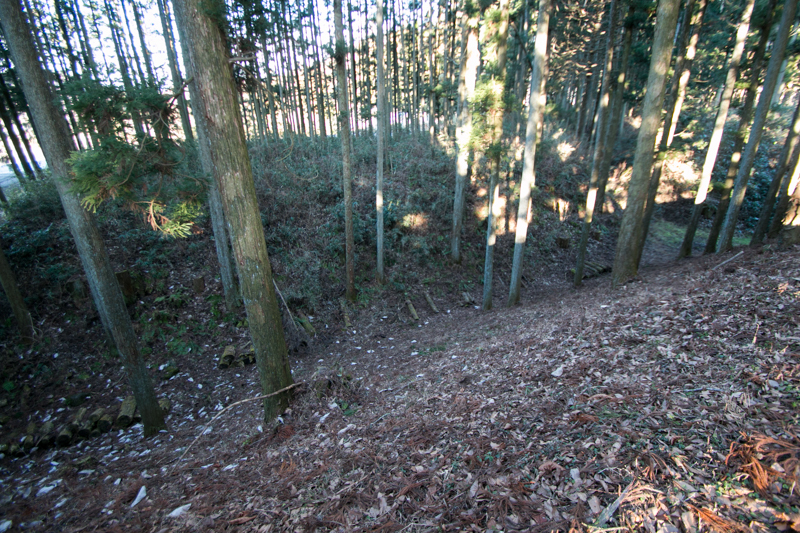 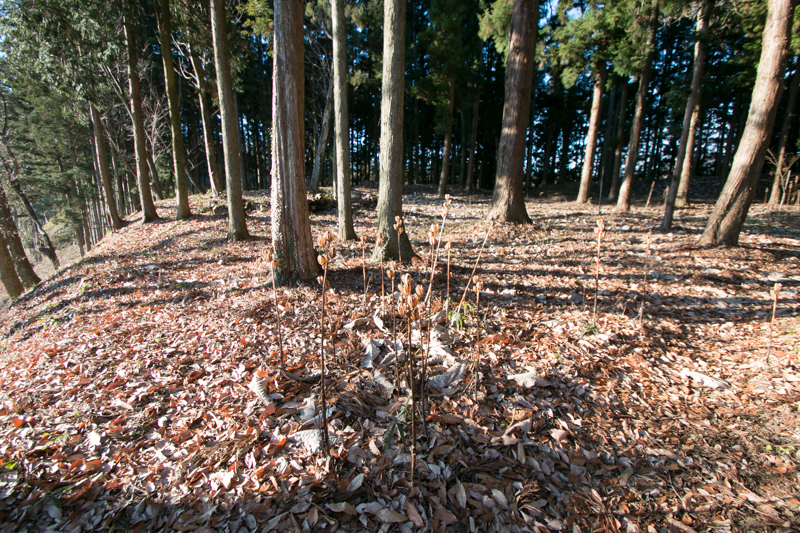 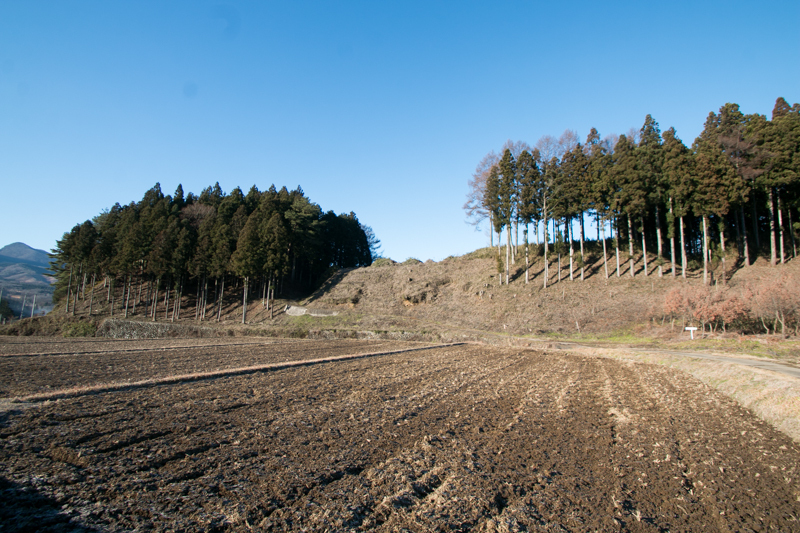 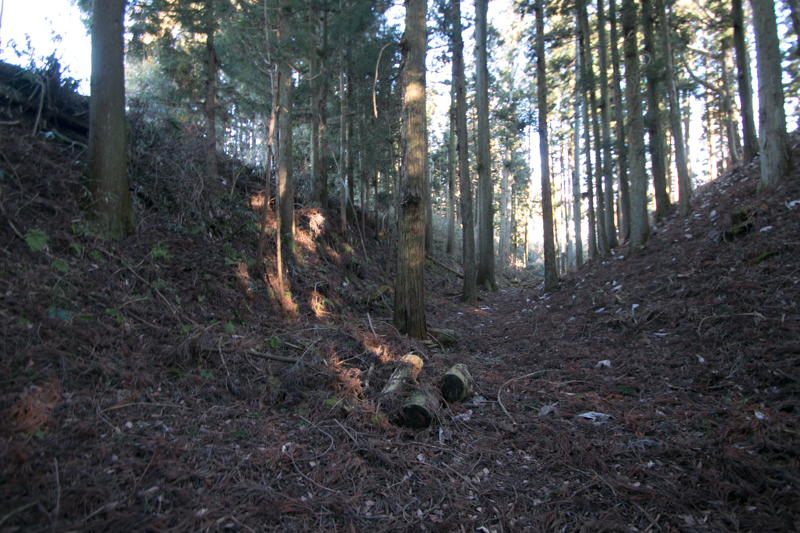 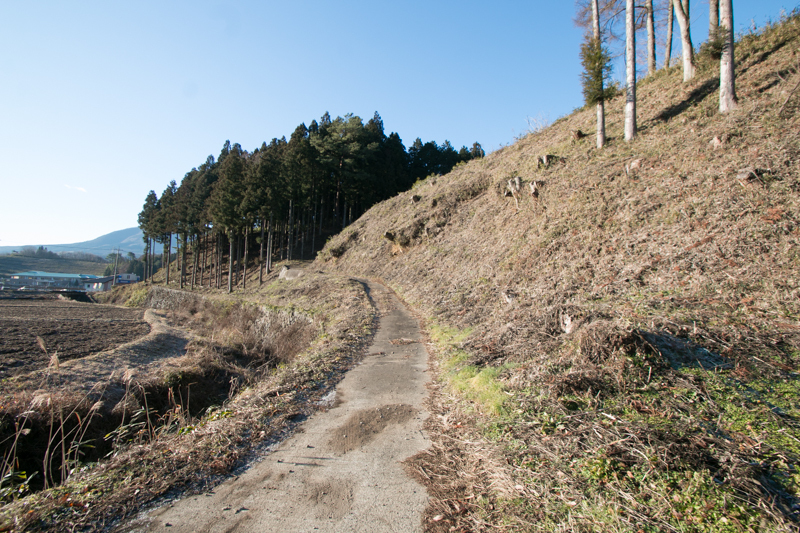 ), the commander of Nakayama castle, suddenly assaulted Nakurumi castle and captured it. 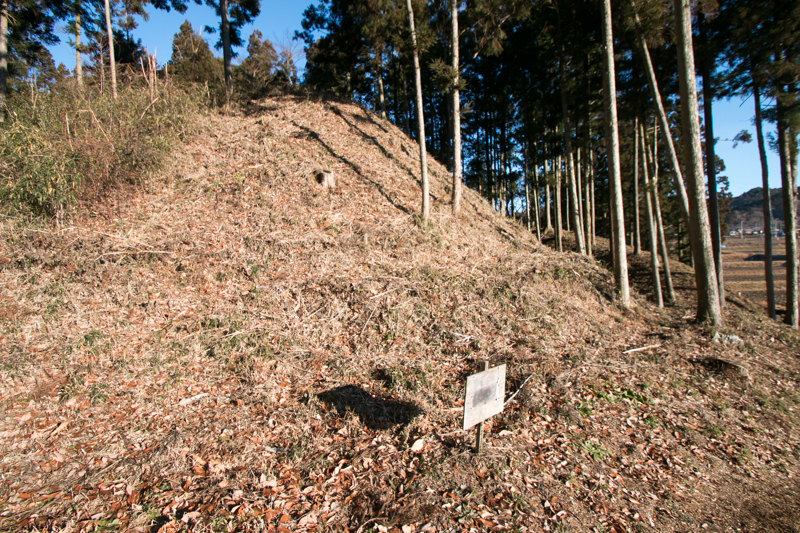 Shigenori Suzuki (1547-1589), the commander of Nakurumi castle who was tricked to leave the castle, shamed it and killed himself. 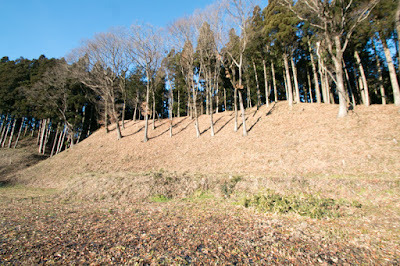 Nakayama castle achieved its target at tactical level. 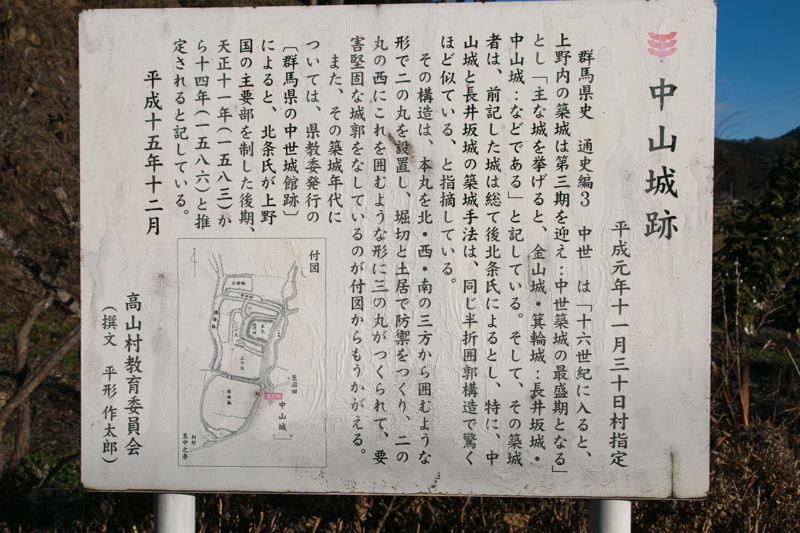 But this exasperated Hideyoshi Toyotomi who lost his honor. Hideyoshi ordered lords all over Japan except for Kanto and Tohoku region to subjugate Hojo clan. Looking at dominant Toyotomi army Hojo army retreated to Numata area and besieged at Matsuida castle or Minowa castle, but they could not stop the march of Toyotomi army. 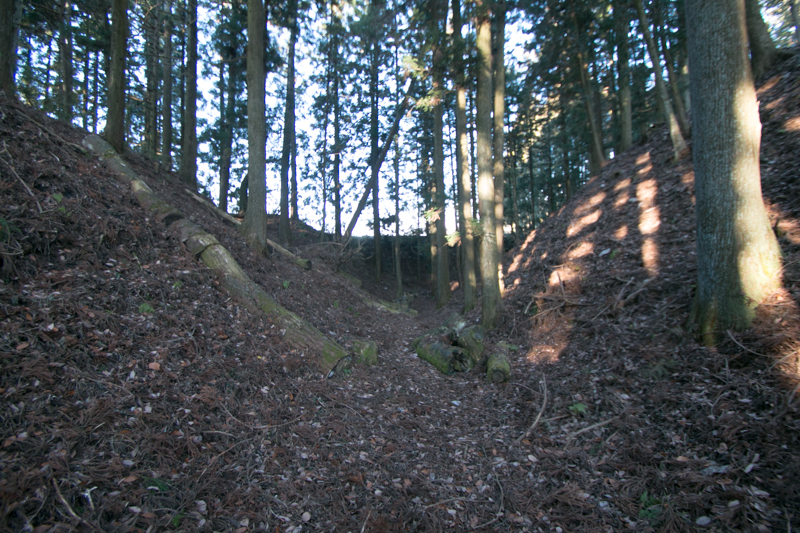 Finally after three month battle Hojo clan opened their main base Odawara castle and was ruined. 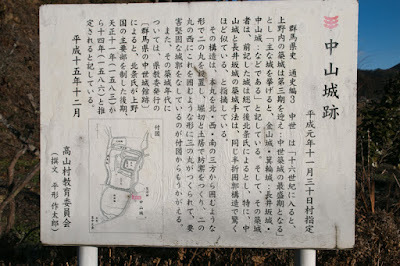 Nakayama castle was abolished at this time. 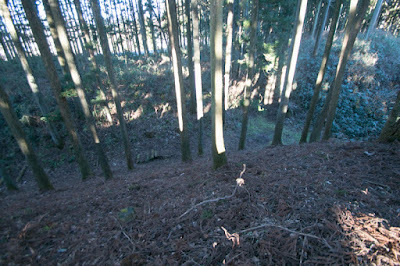 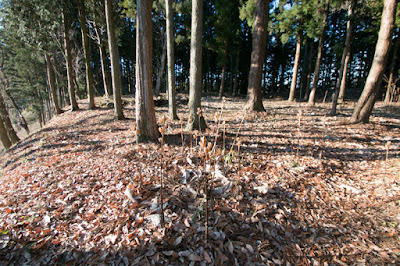 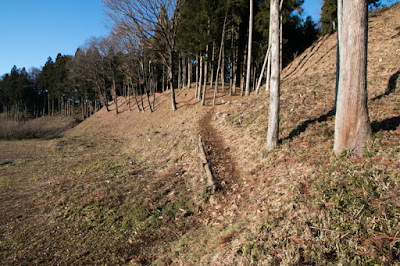 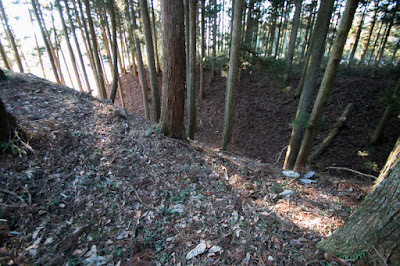 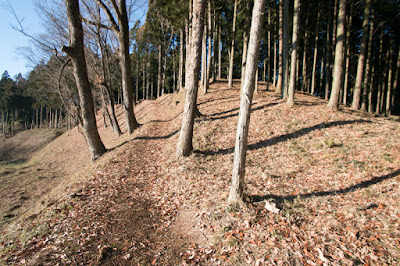 Now all building of the castle was lost but the shape of central area and surrounding dry moat well remain on the hill. Because of its location, visitors who travels castles of Sanada clan might pass this castle but many people miss it. 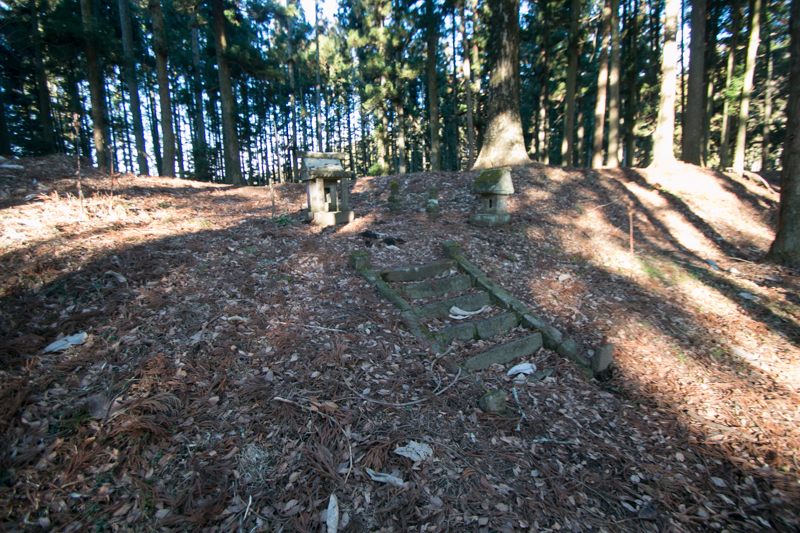 This castle well shows the severity of the conflict between Sanada clan and Hojo clan well, which finally ended up to the fall of Hojo clan. Near from this castle, there is "Rockheart castle", which was only one genuine European castle (a British castle bought by Japanese over 20 years ago and transferred to hear), and it might be good to visit together. 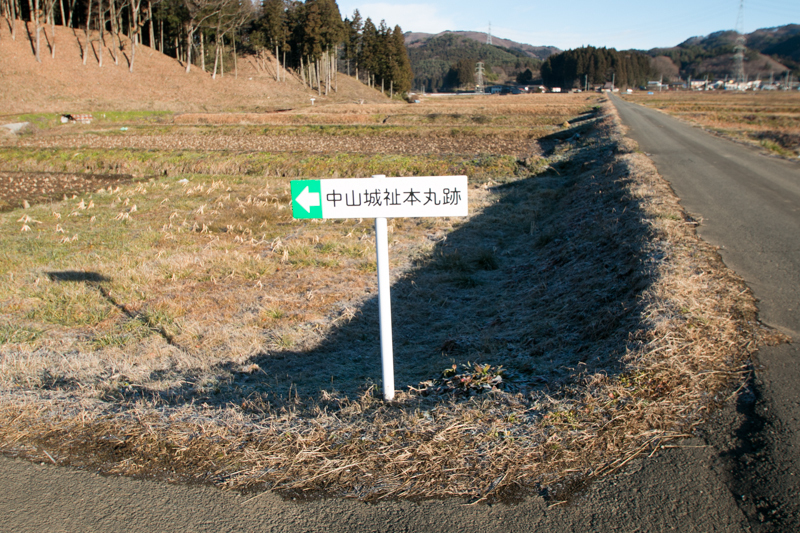 20 minutes drive via Route 145 from Numata city.